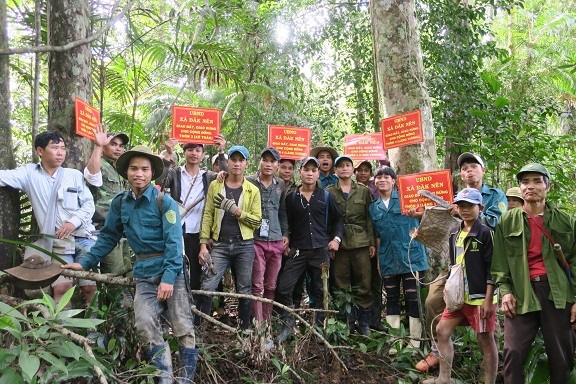 In 1999, the Government of Vietnam enacted Decree 163/CP aiming at promoting effective use of forestry land by granting long-term land certificates to organizations, households, individuals. In addition, Prime Minister's Decision 178/QD-TTg dated November 12, 2001 clarifies the rights of households and individuals to benefit from obtaining contract for forest protection. This Decision aims at encouraging local people to involve in forest protection and create income from this activity. The mentioned legal frame seems to be good for local people, however, real implementation in Dak Nen commune and elsewhere was another story. 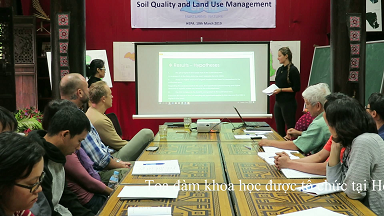 On the basis of Decision 178/QD-TTg, the Kon Plong district People's Committee offered a contract with a private company to conduct measuring and doing cadastral maps at the sub-zone No. 375. This intended land allocation area covers traditional land of the three villages of Tu Thon, Tu Ret and Tu Ngu. The selected households who benefited from land allocation and got land certificates include the communal officers and head of villages. There were total 51 beneficial households, of which 12 belonged to Tu Thon village, 16 were from Tu Ret village, 8 from Tu Ngu village, 6 from Dak Lup, 5 from Dak Lai, 1 from Xo Thac, 1 from Lang Vuong and 2 from Xo Luong village. So, according to this list, only 36 households were from right the three villages, which contained the allocated land. The rest 15 households are associated with communal officers coming from other villages in Dak Nen commune.